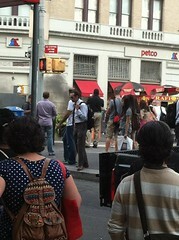 Smoke gushing from a manhole at Broadway and 17th Street rattled commuters in Union Square this evening. 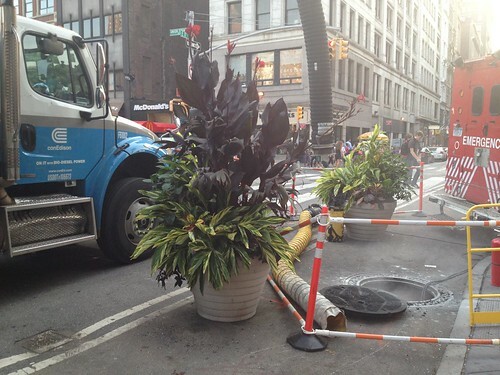 Others tweeted about an explosion, but a ConEd spokesperson said there was no explosion when the manhole started smoking at 5:30 p.m. He said there were no injuries or power outages as a result of the smoke, the cause of which is currently under investigation. A fire department spokesperson said the smoke was quickly brought under control. 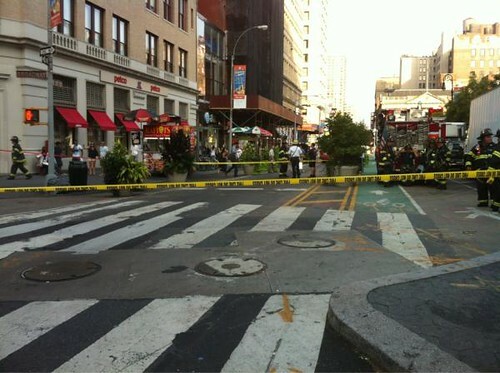 The event unnerved some already shaken up by this morning’s shooting near the Empire State Building. Update | 6:55 p.m. Our outgoing summer reporter Melvin Felix (we’ll miss him!) 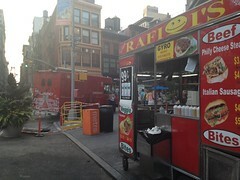 sends this photo from the scene.